Dr. Gaskill spent his first year as a research fellow in the Surgical Outcomes Research Center (SORCE) under the direction of Dr. David Flum, Professor of Surgery in the Division of General Surgery. Over the year he researched use of CT in perforated appendicitis, standardization of ICU communication, and use of post-operative wound surveillance to detect surgical site infections. He also earned a Master of Public Health in the University of Washington Department of Global Health. For his second year, Dr. Gaskill completed an NIH Fogarty International Center fellowship in Kumasi, Ghana working to improve surgical care in low–and middle–income countries (LMICs) under mentors Dr. Charles Mock, Professor in the Division of Trauma, Burn, and Critical Care Surgery, and Dr. Joseph Zunt, Professor in the Department of Global Health. 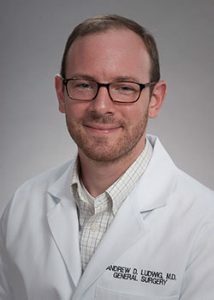 Dr. Gaskill focused on enhancing surgical care of trauma and oncology patients in health facilities in Ghana and other LMIC through systematic assessment of resource need, characterization of disease burden, and the effects of strategic interventions. Dr. Gaskill wishes to pursue a career in academic surgery with attention on LMICs. Dr. Ludwig is a research fellow under the direction of faculty mentors Drs. James Park, Associate Professor in the Division of General Surgery, and Alessandro Fichera, Professor in the Division of General Surgery and Section Chief of Gastrointestinal Surgery. Under the mentorship of Dr. Park, he is investigating novel antibody–directed positron emission tomography (PET) imaging and radiation–based therapies for hepatocellular carcinoma (HCC). This research builds on previous work by General Surgery resident Dr. Jonathan Sham, who developed a liver cancer–specific PET imaging probe. Dr. Ludwig’s goal is to develop and refine targeted therapies for liver cancer, leading to earlier detection and more effective treatment with reduced side effects for a disease that represents the second most lethal malignancy worldwide. When not in the laboratory, Dr. Ludwig will perform clinical research on wound healing after colectomy and surgical approaches to rectal adenocarcinoma under the guidance of Dr. Fichera. 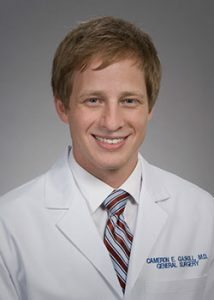 Dr. Ludwig plans to use this experience to pursue an academic career in colorectal surgery. 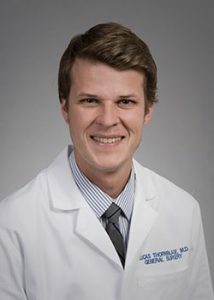 Dr. Thornblade is a trainee in the NIDDK–funded T32 fellowship in Gastrointestinal Surgical Outcomes Research at the Surgical Outcomes Research Center (SORCE). Under the direction of Dr. David Flum, Professor in the Division of General Surgery, he plans to carry forward ongoing work in diverticulitis outcomes under an R01 grant through the National Institute of Diabetes and Digestive and Kidney Diseases (NIDDK). This grant will look at patient reported outcomes of elective colon resection in diverticulitis. Working with Dr. Farhood Farjah, Associate Professor in the Division of Cardiothoracic Surgery, Dr. Thornblade plans to study process of care and clinical effectiveness in thoracic and hepatobiliary cancer. Additionally, while pursuing a Masters of Public Health in the Department of Global Health, Dr. Thornblade plans to continue his ongoing work in surgical education in Vietnam under the direction of Dr. Charles Mock, Professor of Surgery, Epidemiology and Global Health. Dr. Witt completed a fellowship in the NICHD–funded T32 Pediatric Injury Research Training Program within the Harborview Injury Prevention and Research Center (HIPRC) under faculty mentors Dr. Frederick Rivara, Professor in the Department of Pediatrics; Dr. Monica Vavilala, Professor in the Department of Anesthesiology; as well as the faculty within the Division of Trauma, Burn and Critical Care at Harborview. Her research focused on processes of care and patient outcomes in trauma surgery with focus on clinical care pathways and evidence-based guidelines, as well as epidemiology of adult and pediatric trauma. Her work directly led to establishment of a new institutional protocol for management of patients with blunt cerebrovascular injury so as to reduce unnecessary testing and enhance efficiency and quality of care. In addition to publishing her work widely, she presented her research in local and national forums, and received scholarship funding from the American Association for the Surgery of Trauma to support this. 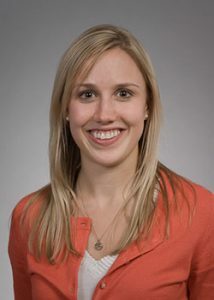 During her research fellowship, Dr. Witt also received a Master of Public Health in Epidemiology through the University of Washington School of Public Health, where her coursework focused on research methodology, study design and data analysis techniques. Dr. Witt intends to pursue fellowship training in Trauma and Critical Care, en route to a career as a clinician-researcher.